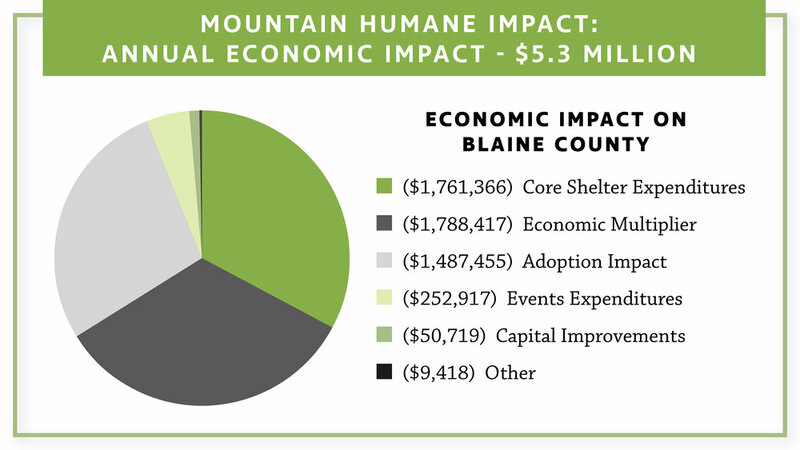 Mountain Humane makes a significant annual contribution to the vitality of our local economy. An in depth analysis of Mountain Humane revenue, expenses and operations resulted in a total economic impact for Blaine County made up of direct and indirect benefits of our labor, goods, and services. Projections for the impact of the new animal welfare campus will be available in 2019.